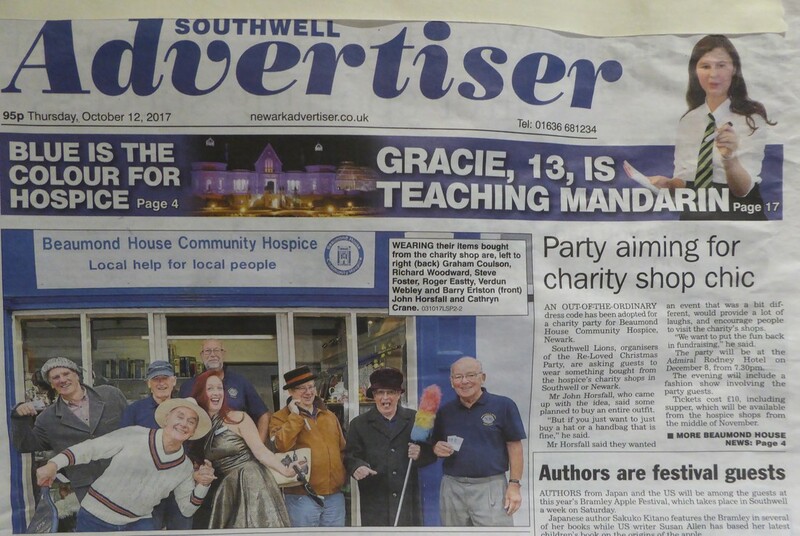 This took place at the Admiral Rodney, King Street, Southwell. Tickets were £10 & were available from Beaumond House Shop from 1st November. 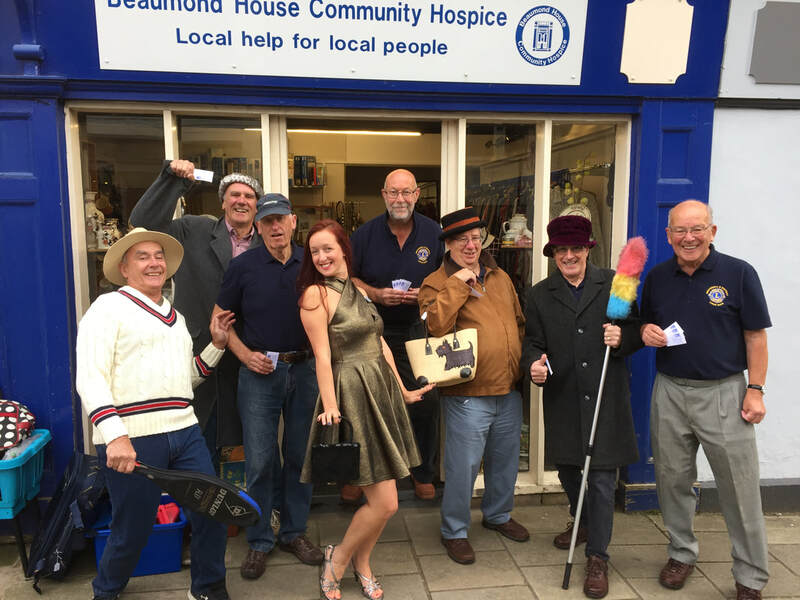 It was a fun evening where everyone attending was expected to be wearing some sort of apparel purchased from Beaumond House Charity Shops in Southwell or Newark. You could come completely kitted out, or wearing only a tie or earrings - the choice was yours, but you HAD to bring the ticket attached to the garment to show you purchased it from the Beamond House shop. 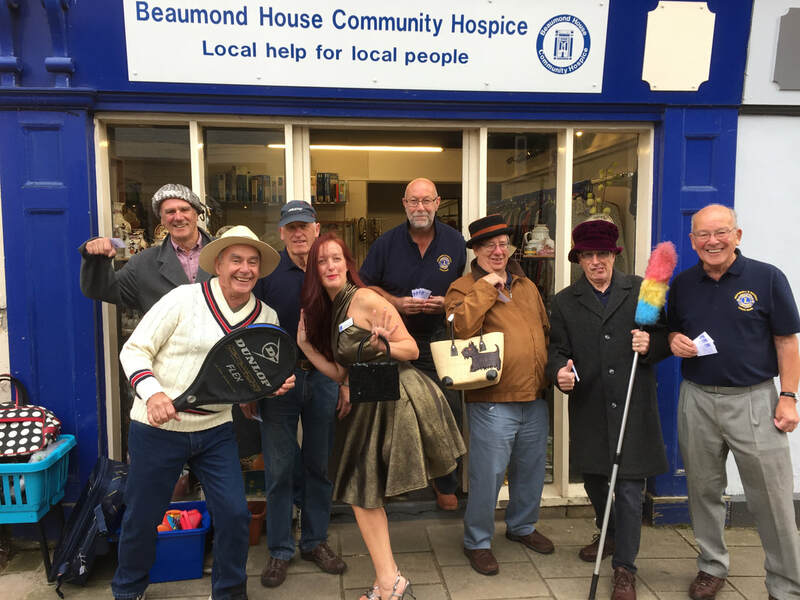 Wearing an outfit or some items of clothing bought from Beaumond House shop, you could take part in one or more of the parades to stand a chance of winning a spot prize. Categories included the best matching outfit; the least matching, most outrageous, etc.etc. The ticket price included a light buffet and dance music. 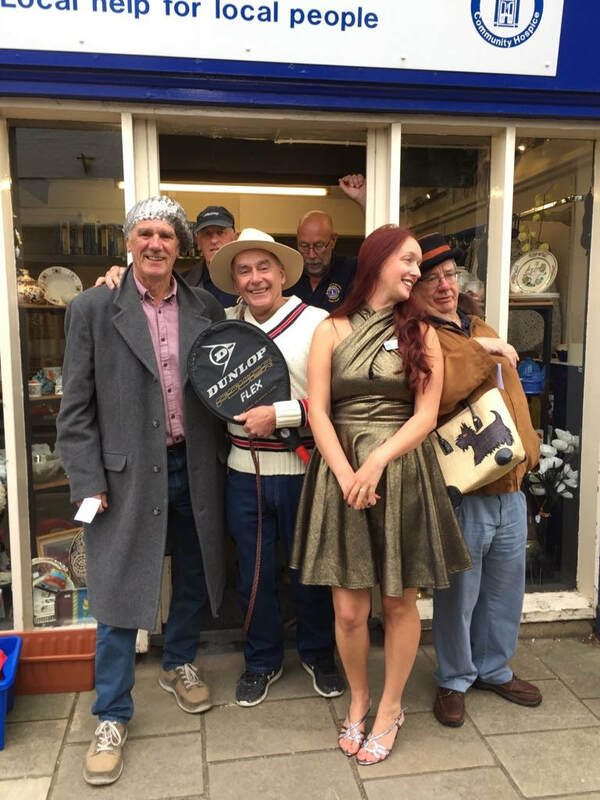 Below are some of the Lions dressed up outside the Southwell shop to show you how it's done!